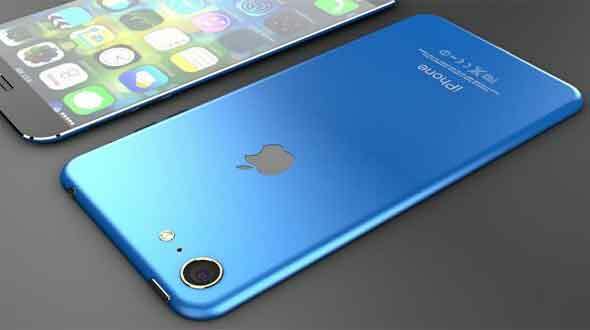 We have recently saw lot of leaks about the color change of new iPhone 7, earlier there was a report stating the new device is going to get deep blue color and later on we came across the news saying that there will be dark black color similar to the Apple Watch which will replace the space gray color from the existing color lineup. Mark Hejak has also built some cool design of the device in those colors. You can check them from the below links. The recent leaks on the color has killed all the rumors about the color speculations, there is just four of them - Silver and Space Grey, Gold and Rose Gold. Those are the standard colors available for the iPhone 6s and co. Looking on the other features from the leak photo, the rear camera of the iPhone 7 appears larger and more close to the edge, in addition to being more integrated into the shell. The chassis has a raised rim that rises on the lens and blocks, has not in practice the metallic ring that surrounds the lens as it is today. These are some of the rumors we are hearing for quite sometime. As reported earlier website also said that the new device might have three versions, According to report three different versions of the iPhone : in addition to the classic iPhone 7 , with 4.7 inch display, there will be an iPhone 7 Plus and third iPhone 7 Pro , of which there is already talk from time regarding the possible integration of a double rear camera .